Dining Daily: Thanksgiving Break Hours, DUCsgiving, & More! November 14, 2018 by D.O. Get your Christmas shopping done early this year! The campus store is currently having a 3-Day Sale, which ends tomorrow, November 15! Offers are good both in-store and/or online at desalesshop.com. 25% Off* men’s, women’s and kid’s outwear. 25% Off* men’s, women’s and kid’s fleece, sweatshirts and sweatpants. 25% Off* men’s, women’s and kid’s long sleeve t-shirts 1/4 zips. 25% Off* men’s, women’s and kid’s cold weather accessories. 25% Off* all DeSales diploma frames and DeSales imprinted drinkware. *Clearance excluded. No other discount can be applied. Act 1 is extending a special offer to the hardworking Faculty and Staff of DeSales University. For the November 30 and December 1 performances of Miss Bennet: Christmas at Pemberley we are running a buy one ticket get one ticket free offer for all Faculty and Staff members! To redeem this offer either stop by the box office or give us a call at x1276. This offer is not valid on past purchases. Author Jim Nevada will be on campus talking about his book Igniting Purpose-Driven Leadership on Wednesday, November 14 at 7:00 p.m. DeSales University Center, no registration required. You are invited to hear a presentation from author and business consultant Jim Nevada about his book Inviting-Purpose Driven Leadership. The book is designed to enable leaders to appreciate the rationale for placing purpose and people at the foundation of their leadership approach. It provides a simple, but practical, framework that can be applied across organizations of all types. 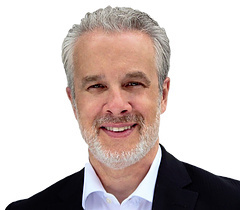 Jim will present examples of what leading organizations are doing to engage their people and deliver exceptional results, from Apple to General Electric to Southwest Airlines, and many others. Jim has spent 25 years in executive roles, including president and chief financial officer at WSP, a global civil engineering firm; Atkins, a UK-based design, engineering and project management consultancy, and Skelly and Loy, Inc.
Francis de Sales was beatified in 1661 by Pope Alexander VII, who then canonized him four years later. He was declared a Doctor of the Church by Pope Pius IX in 1877. The Roman Catholic Church celebrates St. Francis de Sales’ feast on 24 January, the day of his burial in Annecy in 1624. Winter is Right Around the Corner—Are You Ready? The University has also set up a weather hotline for inclement weather delay and closings. Dial 610-282-2650 for the most current information concerning closings and delays. When the University is closed or delayed, all three campuses (Center Valley, Bethlehem, and Lansdale) are closed or delayed unless otherwise noted. Online courses will be conducted as scheduled, at the discretion of the instructor. Snow closings and delays will be made by 6:00 a.m. for traditional undergraduate classes and 2:00 p.m. for ACCESS and graduate classes. In the event of a delayed opening, DeSales University will open at 10AM on Monday/Wednesday/Friday and 11AM on Tuesday/Thursday. If the situation permits, DeSales University may delay opening until 12:00 noon. Delayed openings for weekend classes will be determined on a case-by-case basis as weather conditions permit.